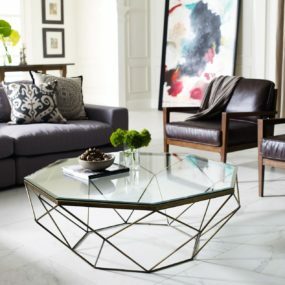 With the right elements, your coffee table can become the ultimate focal point in your living room. 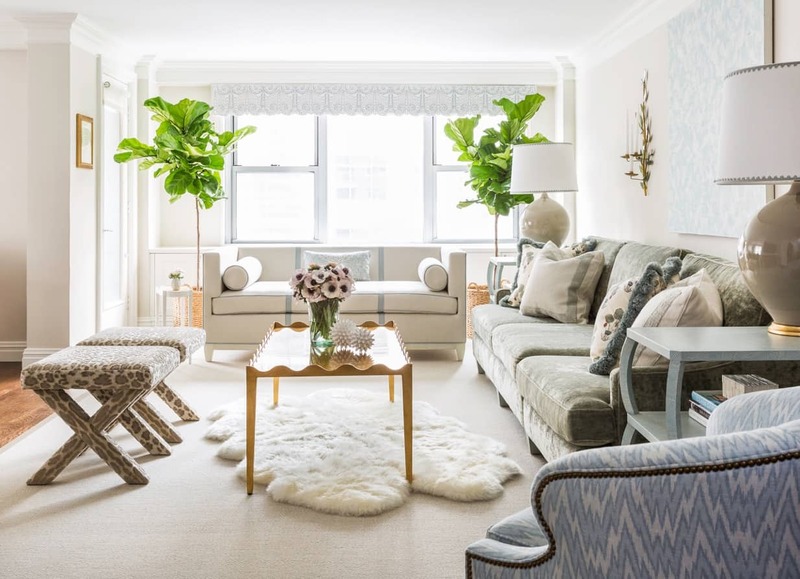 In essence, your coffee table is the main attraction of your living room because it will determine what decorating pieces work best around it. Although the traditional display of books, flowers, and/or different trays will always be an excellent option. Getting creative, with your layout is another excellent opportunity to have your personality on display. 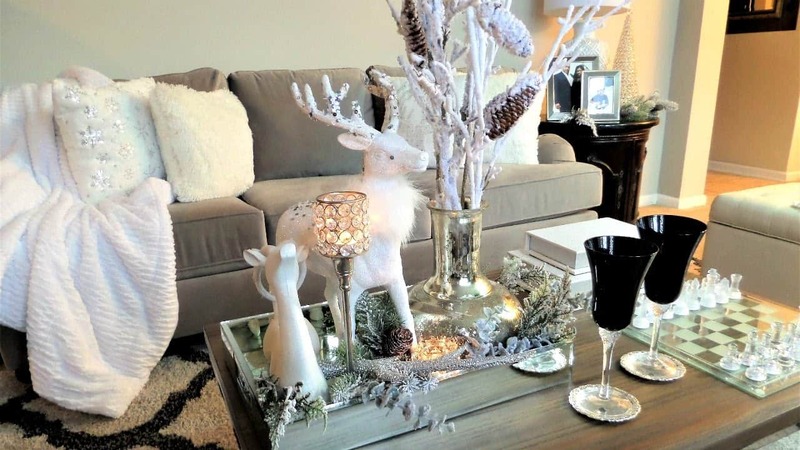 The following creative ideas will give you a new perspective on decorating your coffee table while providing a new flair on the traditional decorative items. An intricate table is perfect because it creates a focal point for the entire room. This glass table may seem minimal but it offers a grand feature which is the way it is placed. The table appears elegant and bold all at once while still matching the entire decor. If you choose a statement table, then anything you place on top of it is a bonus. A statement table consists of a table that draws your attention immediately once you entire a room. Having a statement table from the very beginning means you are allowed to place any small trinket on top of it and it will always appear beautiful and put together. Two glass tables does not mean you need to add any decor to them. 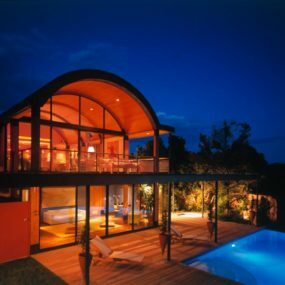 In fact, that is what makes this room appear modern and trendy. 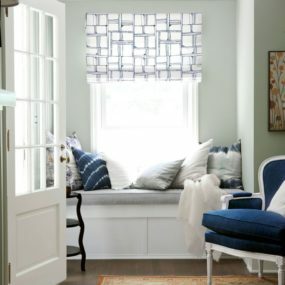 The lack of decor on the tables bring the entire room together that paired with a simple sofa layout and just the right amount of color with the sofa cushions. Typically speaking a coffee table is one. However, if you want to give the space a trendy and new take contemplate having two tables instead. The great thing about this is that you can mix and match the tables according to the décor you have. Or you can consider having two tables that are identical to one another. Place a lamp or other smaller items on each table to provide a cohesive table on a new trend. The textured stools add a touch of cohesiveness that brings the entire decor together. 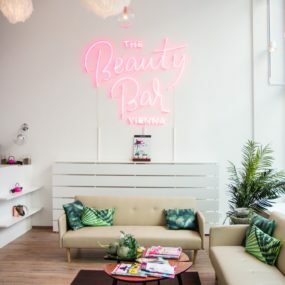 In fact, even though the furniture in the room appears to be the same tone as the stools and the coffee table the texture adds the little bit of extra that is needed to brighten up the space. The purpose of a coffee table is to have a place to put your feet upon, your coffee, drink, and/or other decorative aspects. Furthermore, if you really want to push the envelope and make your coffee table the ultimate multipurpose item add stools to it. Adding stools gives the coffee table an elevated look while making it a seating area that can be used when needed. Top the table with a beautiful vase for that serenity appeal. 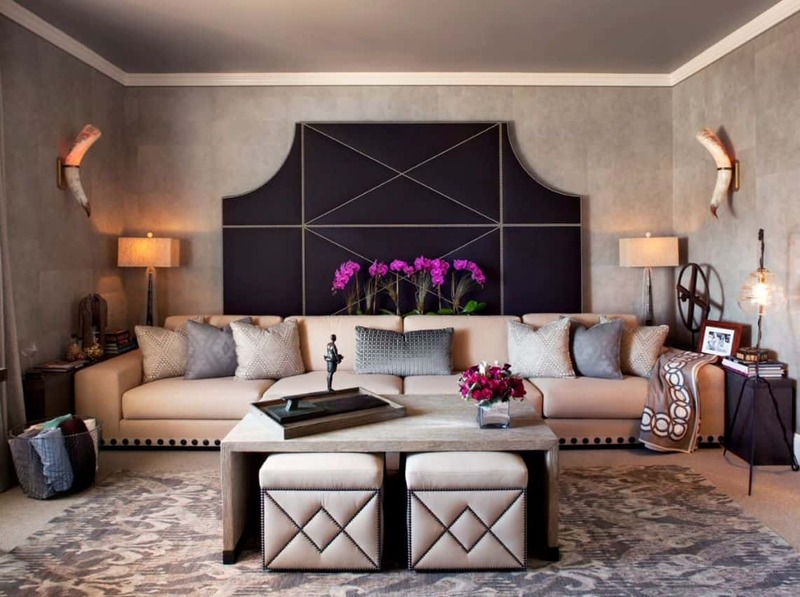 Although you are choosing to use a tray as decor placing it on top of an ottoman will give it an elevated look. In fact, the way it is displayed is quite beautiful. Choose a smaller tray if you are using a larger ottoman. However, if you are using a smaller coffee table use a larger tray for the best results. This will create a contrast between the two. Although, we did mention adding a tray as a traditional element adding it on top of an ottoman will provide a completely different look. 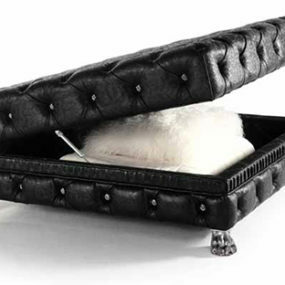 Use an ottoman as your coffee table and place a chic tray on top of it. On top of the tray, you want to lay items that make the room seem cozy such as candles, fresh flowers and/or a vase that will make a difference in the space. Having items underneath does not mean you are creating a mess it actually gives the room character. Especially if you are keeping items that are part of your living room decor. Add a rug into the space for a cozy feel that just feels like home. Simple items will make the living room appear larger. Never have we really utilized the space underneath the coffee table. In fact, if anything fell underneath the table it would be considered messy. 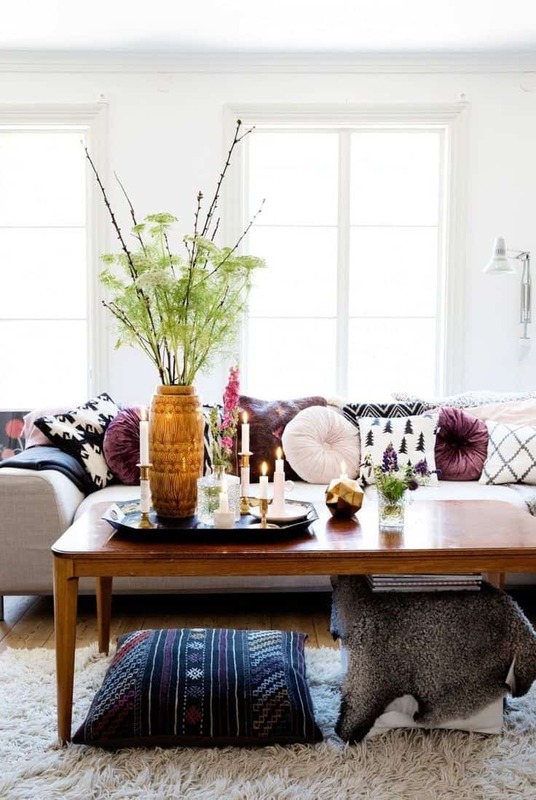 However, it is now on trend to use the space underneath the table as another area to decorate. You may want to consider placing a rug underneath or even laying your favorite books and/or magazines. This will add to the appeal of your coffee table. The higher the table the more items you want to place. Keeping it simple is quite easy the idea is to use as little items as you possibly can. The less amount of items on the table the chicer and trendy it will appear. Add other items around the room to enhance the space without having to use multiple items directly on the table. 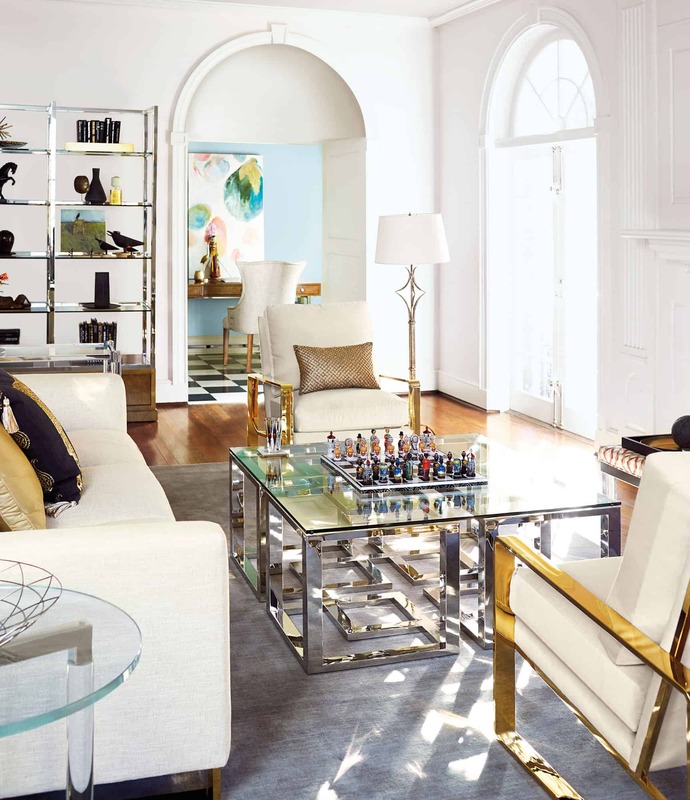 If you have a large coffee table, you may be tempted to add as many items on the table as you can fill up the space. However, you do not want to do that. You want to keep the space simple and clean. This will allow you to have more room on the table while being chic and trendy all at the same time. 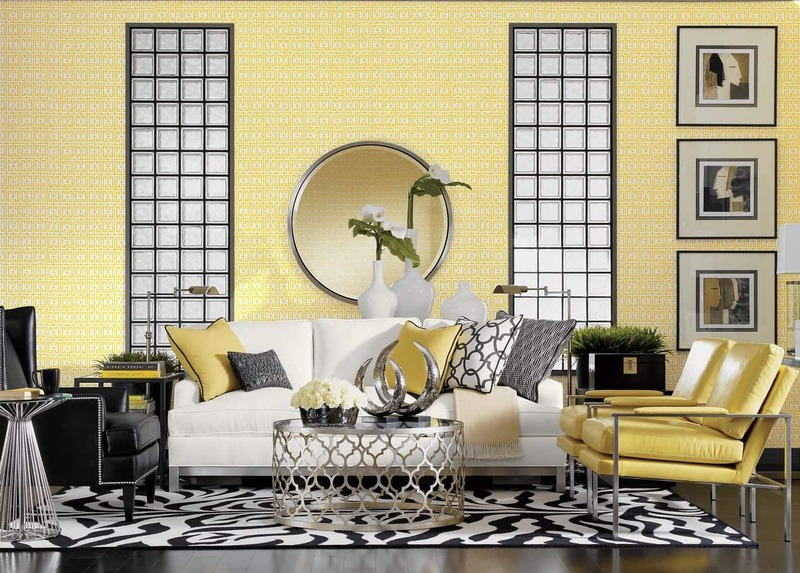 Bold colors are great in any room that they are placed. Having a bold coffee table in a bright color works exceptionally well in the living room because it becomes a focal point. The focus of the room will revolve around the table because of how bright and bold it is. Here at Trendir, we love bold and bright colors. Therefore, we knew we had to include a bold option when it comes to decorating your coffee table. 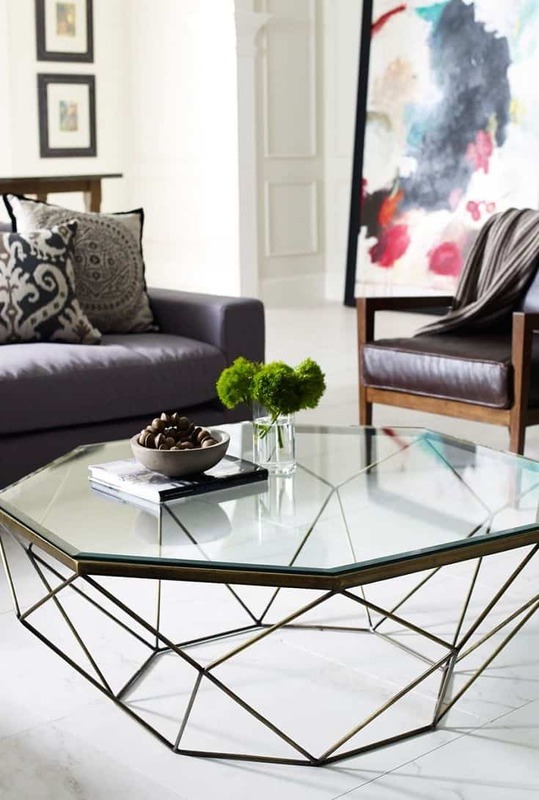 Use a bold coffee table in a bright color such as yellow, red, blue, and/or a metallic to make a statement. Or you can use bold colors on top of your coffee table that will make the same concept but in a smaller dose. Adding seasonal decor is great because of the multitude of options you have. You can add as many items as you please and remove those items as well. 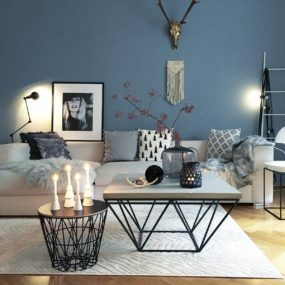 You can even mix and match your decor as well. The beauty of it is that the possibilities are endless when it comes to holiday decor. When in doubt, choose seasonal décor. Seasonal décor is great because it can be interchanged for any season. Furthermore, you can choose what to display and when to display it. You also have the ability to make your holiday décor match your current décor as you do not need to use bold color instead use neutral shades for your holiday décor. Different size sculptures work beautifully together. There is something very eye-catching when you are working with different items of different sizes. Consider having the same object twice but in a different size to create the visual appeal you seek with a focal point that is easy to create. Sculptures are great because you can use them in any area and they work even better when you place multiple different ones on top of your coffee table of diverse sizes. Have sculptures that add to the space, not that clutter the room. The idea is to have a crisp and clean design that isn’t overbearing. Just because you arent using flowers does not mean you cant have a simple arrangement using natural elements like the image above. This arrangement even though it is simple it is beautiful and breathtaking. Paired with other simple elements this table appears sleek and chic. Add a flowerless arrangement to your coffee table for a crisp and clean display that still has a touch of feminity. Instead of flowers, consider having an arrangement that adds to the space in a simple manner. When you have a flowerless arrangement keep the rest of your décor as simple as possible to give the flowerless arrangement the attention it truly needs. Statement legs are great because they not only make a big splash in the living room but they create a focal point in the space. Keep the rest of the decor simple to make the tables legs its main focus. A glass table works great because it’s simple and trendy. Not all tables are constructed the same some are shorter, some are taller, and others are more intricate than others. When you find a table with statement legs it is time to make it your coffee table. Statement legs are great because of how well they make a statement while still being simple. The simplicity of the rest of the table allows you to be able to decorate the entire space while still have a focal point that works well for you. Double tiers are great because of how much space they give you. You have the ability to place as many items on them as you would like. The key is to have items that add value in the room. Not items that will make you want to remove them out of the room. Have a few items displayed on both tiers. Two tier tables are great because they give you more room to place whatever you want on both tiers. This works exceptionally well when you want to create a cohesive design from top to bottom. You can also choose to have both tiers decorated differently. The ideas are endless when you choose to have this kind of coffee table. 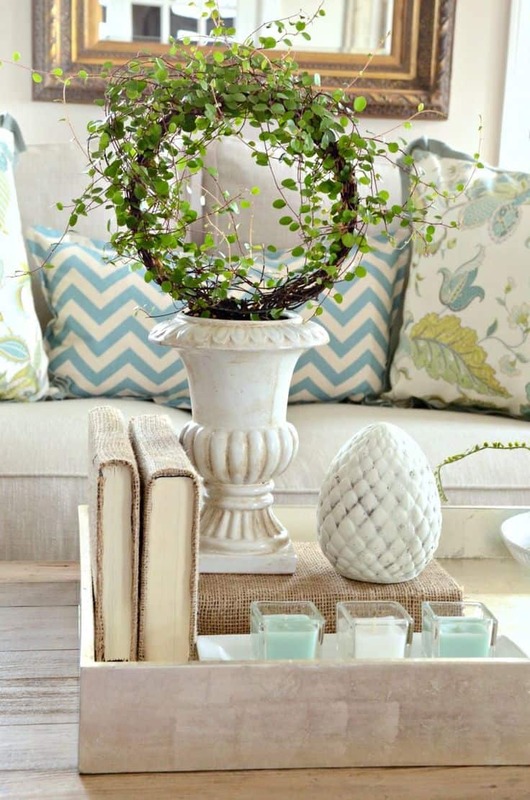 Your coffee table will add personality to your living room space. Which of these decorating ideas will you be using in your home? Let us know in the comments below.